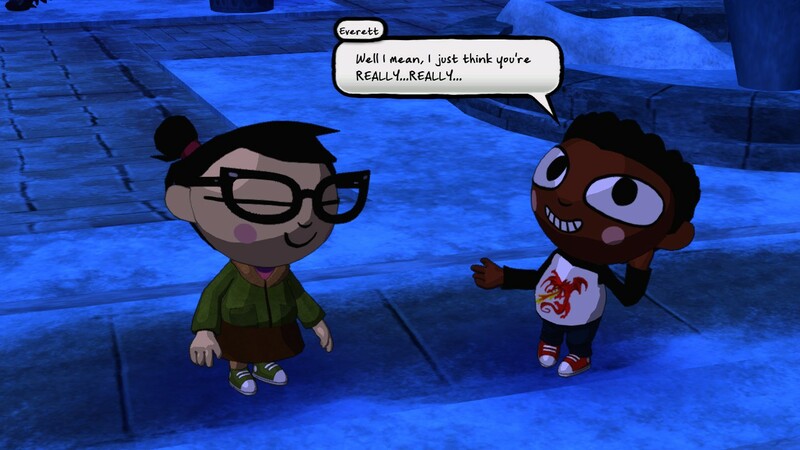 Costume Quest (7 hours) – I completed the main Costume Quest and then continued on to the DLC. The game continued to be charming and I enjoyed playing it as well as the simple story arc of the brother and sister realizing they didn’t hate each other that much. Gameplay-wise the game is not too forgiving when you make a mistake. There aren’t any items to use for healing so any mistakes in the Mario RPG-like mechanics (hitting a button on a certain timing to empower your attack or reduce an attack against you) could lead to losing an encounter quite quickly. I think it took me about 5-8 tries on the final boss of the main game to get just the right combination of add-ons (which increase HP or allow you to retaliate when hit) and costumes to make it through to the end. It also doesn’t help that the enemies appear to level up with you. That is to say, if there’s enemy X at the beginning of the game and you come up against him later, he has more HP and hits harder. That’s a bit different than the mechanic used in most of the Squaresoft RPG games I played in my youth. That said, there aren’t really any consequences to losing a fight. As far as I can tell, you don’t even lose candy when you lose a fight. You just end up right where you were before and you have another chance to start the encounter again or move away to change the costume equipped. Interestingly, the DLC has you on the side of the monsters you were fighting against in the main game. Apparently some other species has taken over and isn’t treating them well. The new costumes and abilities are fun. It looks like it’s about 1/4 the size of the main game so I feel I’m close to finishing my time with this game. It did have one puzzle that I’ve hated in every game I’ve encountered it – whether that’s JRPGs or Sierra’s adventure games – a cave in which it’s not apparent which path to take and where some paths lead to extra bonus stuff while other lead you right back to the beginning. So you could luck your way to the end and miss out at the bonus stuff or spend about an hour (as I did) always picking the wrong door, but getting all the bonus stuff. Although I didn’t succumb this time (given how easy the game is overall), it’s passages like these that usually lead to me cracking open a walkthrough and then leaning on that crutch for the rest of my playthrough. 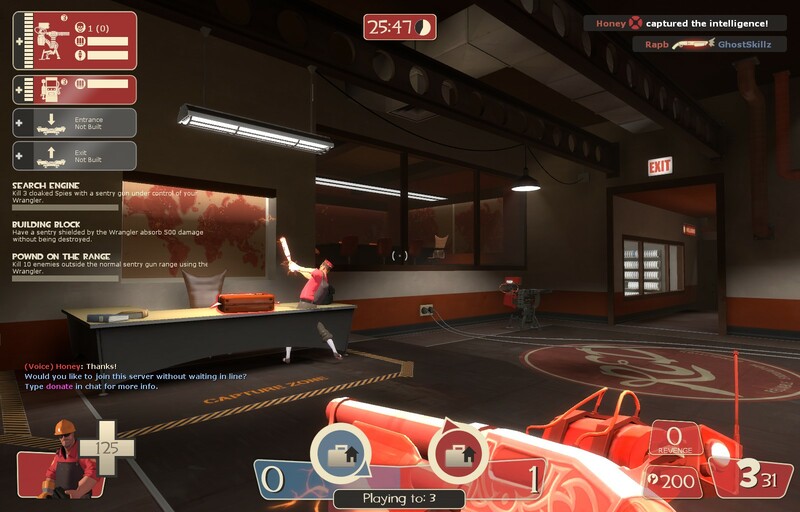 Team Fortress 2 (2 hours) – I was craving a bit of TF2 fun so I played a couple matches of grab the briefcase. I had much more fun than that Scout who became one with the scenery.